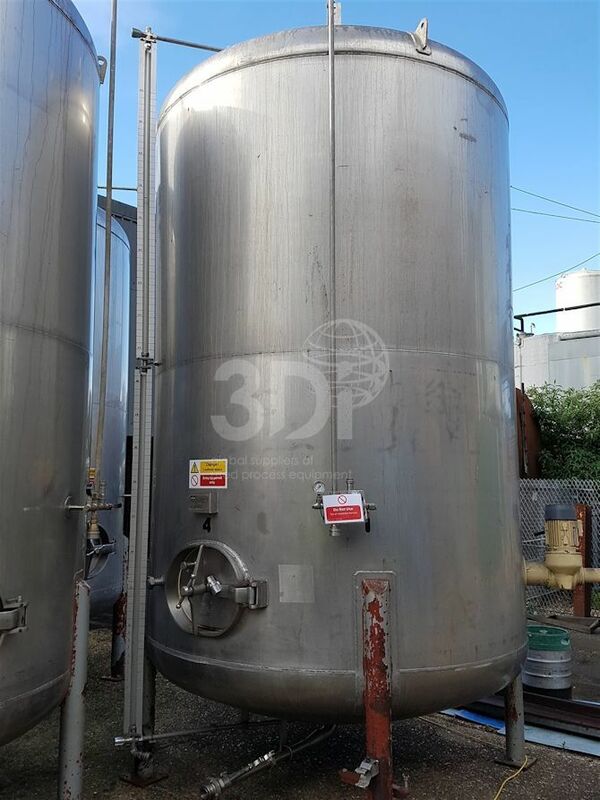 Used 14,700 Litre 316 Stainless Steel Storage Tank, manufactured by APV. Orientation: vertical, cylindrical, dished top and bottom, supported by 4 legs. Dimensions: 4200mm on the straight, 2300mm diameter. Bottom side man way. Fitted with a bottom side mounted agitator. Design data: 30 PSI working pressure, 50 PSI test pressure. 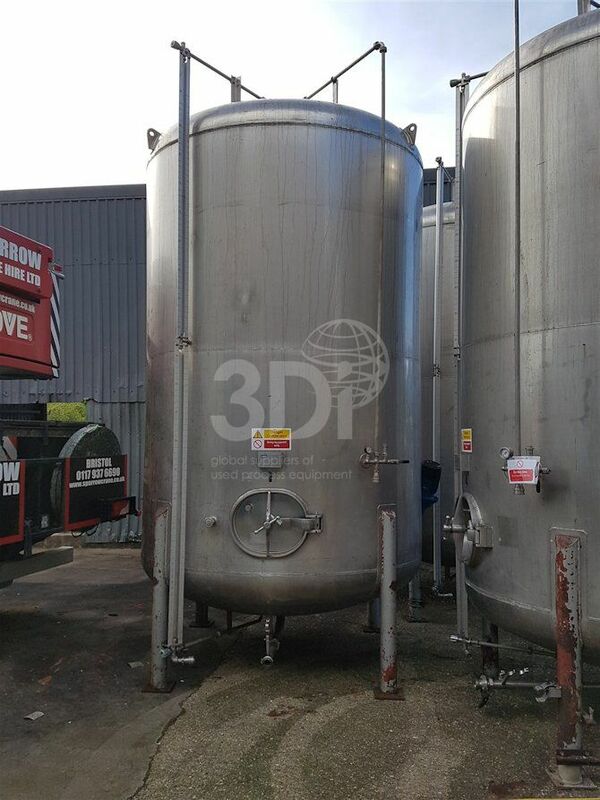 Previously used in the brewing industry.